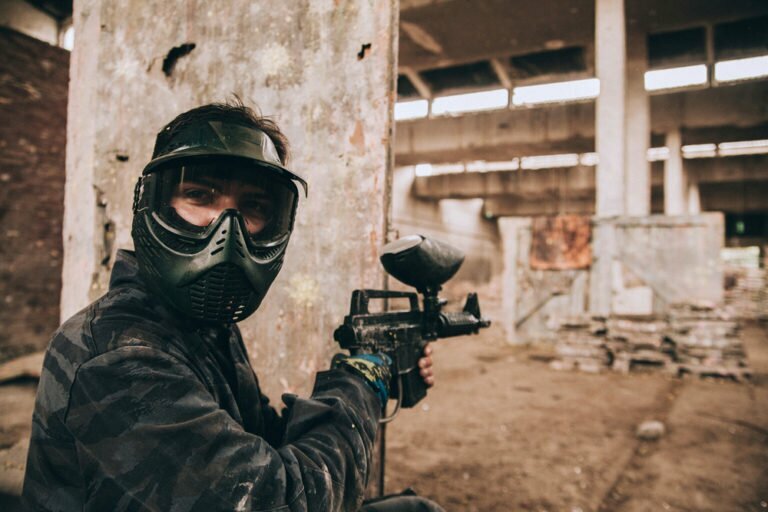 Now, let’s look at a real tournament-level paintball gun that looks awesome and is built with durability in mind and you can guarantee premium performance on the field with the Empire Sniper. This high-quality pump gun is based on the famous WGP snipers, or so called Autococker design. With this gun, the Empire production team has now brought us a marker that is able to match and compete with other tournament markers, but for only the fraction of the cost of the expensive guns available. What that means is that you will get similar/same features in this marker as you would with other tournament level guns, except for the Geo3.5, that completely dominates the field of paintball in terms of performance, functionality and durability. However, the Empire Sniper was built from scratch to provide you with high-class performance. It’s a pump gun that is built for recreational game-play and ideal if you are making your first steps in tournament game plays. The whole body of the gun is aluminum built and is extremely light to handle and great gun to take on the field. Moreover, it is extremely quiet and ideal for those who like to sneak around and surprise their opponents. In terms of efficiency, this gun is fantastic and fires-off paintballs at a fast rate, fast enough to justify an electric loader. This marker is extremely easy to operate also. It is basically a plug-and-play unit as it comes out-of-the-box ready and optimized for prime efficiency. In order to make the marker last, (and this goes with any marker you own, regardless of how much you paid forit) you should always maintain it properly after each field use. Just dissemble it and clean the bolts and lube them. It is recommended that you lube the regulator frequently to maintain optimum efficiency and durability. Below you will find out what this marker can do for your game-play and see for yourself if this is your perfect fit to maximize your performance on the field! 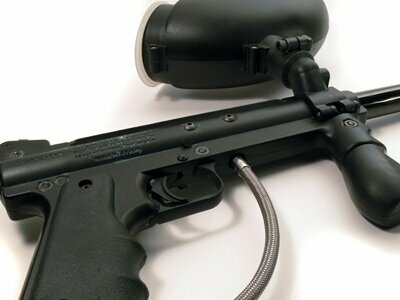 As I did mention above, this Sniper is a pumpin style paintball gun that operates on very low pressure. Moreover, this marker contains the awesome auto-cocker barrel threading, ten (10) round vertical feed cycle technology along with an Auto-Trigger that fires off rapid shots. The overall design is aluminum with 14inch barrel and three barrel inserts. These 3 barrel include .675, .680, and .685. Also, the design features a Delrin pump handle, and an in-line regulator featuring a swivel adaptor. It offers dual stainless steel pump that was designed to provide maximum stability on the field. You will additionally appreciate the 300psi gauge that you can position anywhere on the marker. In terms of performance, the Empire team wanted to make sure that holding this marker would bring extra comfort and therefore they designed the grip with a molded wrap with a fantastic finger groove on top of that. This marker feels great to hold and the shooting performance is fantastic. 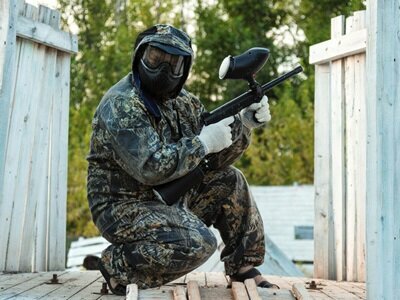 This marker is regarded as being one of the most efficient and reliable paintball guns that you can get your hands on today. Once this gun was released, paint-ballers were waiting in line to get the Empire Sniper. 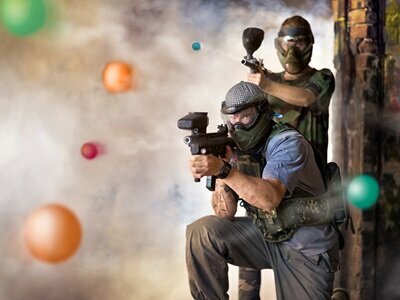 There was a lot of excitement involved and for a good reason because this Sniper performs like a high-class paintball marker and fires paintball bullets at an extremely fast rate, just like the expensive semi-automatic markers out there. Current owners regard this unit as a top tournament marker and talk about this gun as the elite-pump model because of its reputation of rapid firing ability, accuracy and reliability. You should expect to be able to hit a target from 50+ feet away with ease. There is a pump handle to help you to re-stock by just using two fingers. You can do this, even though you are pointing at your target. It doesn’t matter if you are right or left handed, this marker is designed to fire-off shots with slick precision with ease no matter which hand you use. With the ergonomic .45 grip and Auto-Trigger, the weight is just perfect, extremely light and comfy to handle and operate. There is even a safety button that is easy to get-to whenever you need to. Many users love the fact that this marker fires-off shots hardly with any noise at all. Just like with the performance of this marker, the functionality is top-notch as well. 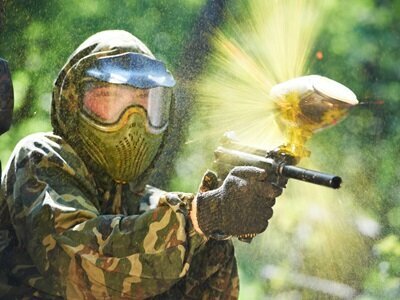 In order to use this paintball gun, you just need paintballs, a hopper and air bottle, that’s it! The manufacturer made sure to distribute the weight perfectly to offer you remarkable balance as this is regarded as one of the very few CCM pump guns available at merely 2pounds. The On-and-Off bottle adaptor is controlled via lever that shoots air to the airbottle and the gun’s in-line regulator. All this is done via an angled air adaptor. Moreover, a tiny Delrin bolt is included that will remain sealed with O-rings and on top of that it uses a clamping feed neck to hold the hopper. Made out of stainless steel, the pump rods are securely tight in their places to make sure that every internal part operates flawlessly. One awesome function is the ability to hold the target and fire-off rapid shots with ease, thanks to the spring return style pump handle. You can use many types of air bottles and hoppers with this marker and easily choose the ones that fit your preferred playing style and needs. It can be said about this marker that it functions exactly like it was designed for. As I did mention above, this model is ready-to-use out of the box and requires little or no maintenance at all. 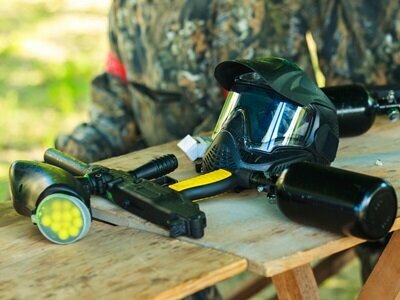 However, like with any paintball gun or any electronics that you own, maintenance is key-factor that will determine durability of any product. You should maintain it regularly, clean it properly and lube it after each field use. This will make you marker last for years to come and you will enjoy quite shots a lot longer with proper maintenance. Just make it routine to lube the whole unit and don’t for get to lube the pump rod as it will boost the pump stroke significantly. Also, remove the regulator frequently and lube it. 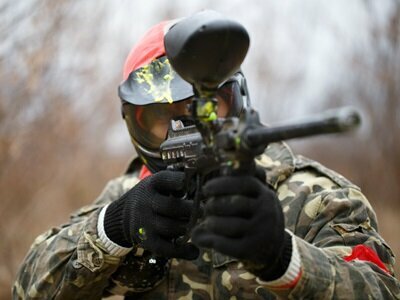 In conclusion, the Empire Sniper is an awesome top-rated paintball gun. If you are looking for a budget friendly marker, this model is probably not the one for you. It was designed as a tournament marker and features all the functions that you need to master the skill of becoming a tournament player. Therefore, investing in this gun will bring you great value for your buck and this gun is fantastic for those of you who love to play pump-tournaments or recreational paintball game. Overall, a marker that is packed with features that you will highly appreciate and the best part is that it comes ready out-of-the-box!